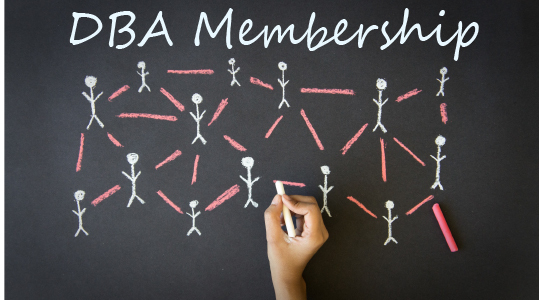 The Delaware Bankers Association maintains the following membership categories. Follow the links below to see a description of each category, a listing of DBA members in that category, and links to members' websites. Any tax paying international, national or state-chartered bank, any savings bank, any non-deposit trust company, or bank with operations in the State of Delaware may become a Member. Any state limited purpose trust company affiliated with any of the aforementioned institutions, will also be categorized as a Member as long as the aforementioned institution is a dues paying Member in good standing. With the approval of the Board of Directors, a state limited purpose trust company may be deemed a Member and will be required to pay dues at the Member rate. Members may attend and vote at all Association meetings, may be represented on the Board of Directors of the Association and may serve on Association Committees or Task Forces as so appointed by the Board. They are invited to attend all Association business, educational and social functions as Members. Additionally, Members receive legislative representation at both the state and federal level. Any state limited purpose trust company, any industry related service provider or any business entity that provides goods and / or services to any of the Members or is interested in doing business with the Members may become an Associate Member. Associate Members may attend Association meetings at the discretion of the Board, but they shall have no vote. They may serve on Association Committees or Task Forces at the discretion of the Board. They are invited to attend all Association, business, educational and social functions not designated as “Member only” functions as Associate Members. Associate Members do not receive legislative representation at either the state or federal level. Any national or state chartered tax paying financial institution operating outside the State of Delaware, or any national industry related service provider, upon approval by the Board of Directors may become a Participating Member. Participating Members may attend Association meetings at the discretion of the Board, but shall have no vote. They may serve on Association Committees or Task Forces at the discretion of the Board. They are invited to attend all Association business, educational and social functions not designated as “Member only” functions as Participating Members. Participating Members, with Board approval, may receive legislative representation at the state and federal level. A retired banking professional interested in remaining active and engaged in the banking industry may become a Retired Member. Retired Members may attend Association meetings at the discretion of the Board, but shall have no vote. They may serve on Association Committees or Task Forces at the discretion of the Board. They are invited to attend all Association business, educational and social functions not designated as “Member only” functions as Retired Members.